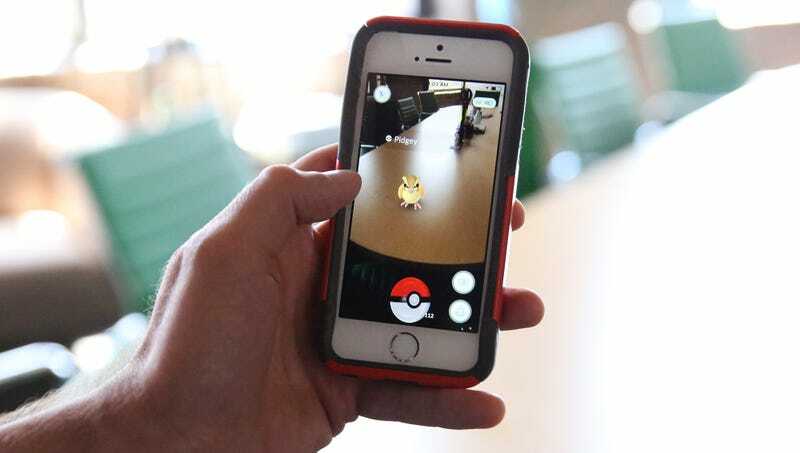 Since its debut last Thursday, the augmented-reality smartphone app Pokémon Go has been downloaded millions of times and has grown publisher Nintendo’s stock by 25 percent. The Onion answers some common questions about the game and its unprecedented success. Q: What is the object of Pokémon Go? Q: Where can you play Pokémon Go? Q: How do you catch a Pokémon? Q: What happens after I capture a Pokémon? Q: Can you shoot the Pokémon? Q: How do you beat the game? Q: Where can I catch Onix? Q: How many Pokémon are there? Q: Is it a better deal to buy 2,500 Pokécoins for $19.99 or 5,200 Pokécoins for $39.99? A: The DSM-5 classifies internet gaming disorder as a compulsive use of video games that leads to significant issues functioning in society, damage to one’s personal life, and acute withdrawal when separated from the game in question. Q: Who owns Pokémon Go?